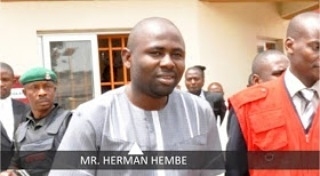 The Supreme Court has sacked Herman Hembe, lawmaker representing Konshisha/Vandekiya Federal Constituency of Benue State, from the House of Representatives. The apex court also ordered a replacement be sworn in without delay. The Court further declared Mrs Dorathy Mato as the rightful candidate who won the All Progressive Congress (APC) party ticket. Mr. Hembe was ordered to return all salaries and benefits collected while in office within 90 days.